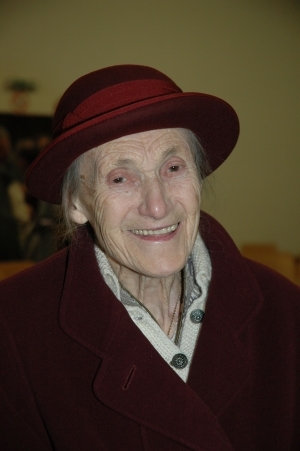 With great sadness but also thanksgiving for her life and witness, Pax Christi USA learned this morning that Franziska Jägerstätter died this past weekend. She passed peacefully in her sleep in St. Radegund, Austria, just a few days after celebrating her 100th birthday. 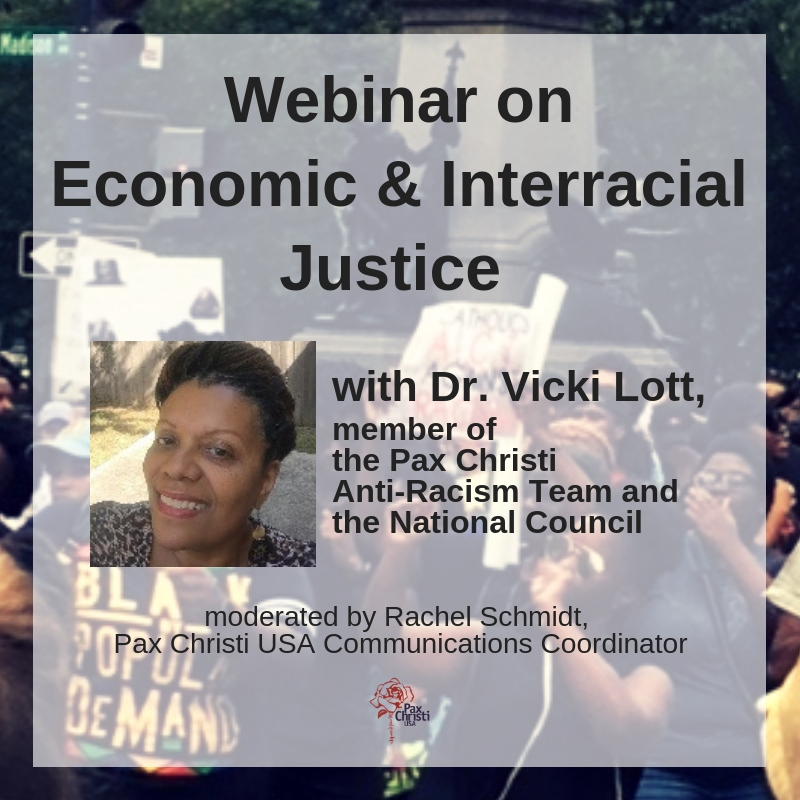 Below is an article written by Pax Christi USA Ambassador of Peace Fr. John Dear, S.J. after meeting her in 2007.
by Fr. John Dear, S.J. Hundreds of thousands opposing the war took to the streets last week in Washington, D.C. I was in Los Angeles at the time and joined a march there. Destination: the L.A. Federal Building. There we were addressed by Cindy Sheehan and Ron Kovic, inspiring speakers both. And on top of that, a delightful surprise—I ran into my old friend singer Jackson Browne. He and I were arrested on those same federal building steps eighteen years ago, and spent a memorable day in jail with over a hundred other churchworkers and activists, strategizing our next action and campaign to stop U.S. military aid to El Salvador. To cap off the weekend, on my return home, I found a card from Austria waiting for me, from 94-year-old Franziska Jagerstatter—wife of martyred Franz. Her card, full of love and blessings, bore a kind of weight. Suddenly our small steps for peace last weekend fell into proper perspective, which is to say they loomed small. Thank you, Father John. I’ve had the honour of meeting Frau Jaegerstaettter twice. Truly, anyone who ever met this lady will have treasured memories of her. After Franz’s execution, she had every right to re-marry, but out of her extraordinary loyalty to him, she never did. Though I’m an Anglican myself and not a Roman Catholic, I believe that God has a very special regard for people such as Franziska, who go the extra mile in faith. We see so many marriages ending in divorce these days, often on the most superficial grounds. Looking back on both Franz and Franziska’s story, we see that their marriage had been through the deepest of waters, but never at any time was it on the rocks. So her story as well as his will always be an illustration of the power of love – a real “work of life”. I am in a Just Faith/Pax Christi program on non-violence. I just saw the movie about Franz’s life, and was very moved by it. Thank you for sharing the story of your visit with his widow. How amazing both of them were. What strong witness both of their lives were- that non-violence is the only choice for all people of faith…the way of peace. Grant unto them eternal rest – together – with our God in Heaven.